OPM offers three or more workshops for members annually. Workshops typically are held on a Saturday morning and are followed by picnic lunch and paint-out. Many of our workshops are held in the visitor center of the Minnesota Valley National Wildlife Refuge in Bloomington, which allows OPM to use their auditorium and adjoining classroom. Workshops may be limited to a certain number of registrations on a first-come, first-served basis. Please make sure your annual membership is paid, then sign up for Workshops through OPM's SignUp page on SignUp.com. Starts at 10:00am in the visitor center auditorium. ​Bring a sack lunch for picnic in adjoining classroom. Duane will demonstrate watercolor painting on panels he has prepared. He will explain how to prepare these panels on your own and provide a limited supply of samples for participants to try. Watercolor painters may bring their own watercolor painting supplies. Some watercolor paints and brushes will be available for visitors and non-watercolor artists to experiment. ​Starts at 10:00am. 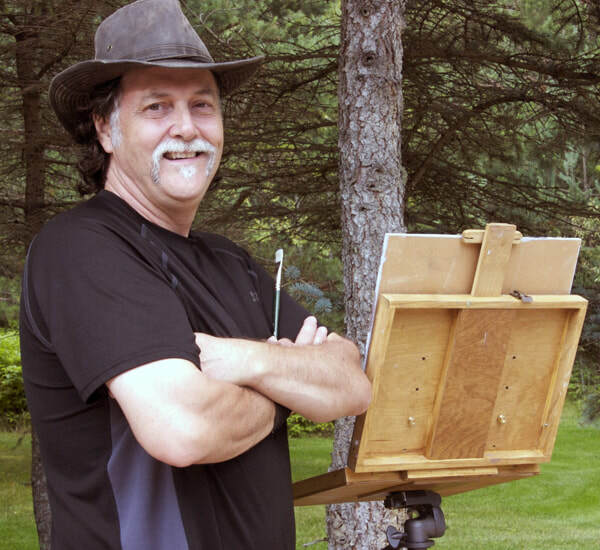 Oil painter and signature member of OPA Robert Hagberg, will offer instruction on finishing a painting for exhibition with an emphasis on “Best Practices for Photographing Art.” Bring a camera, if you wish, to see how to apply his techniques with your equipment. Bring a small chair or stool for seating in his studio. BYO lunch will be followed by an afternoon paint-out on his property and around his country neighborhood. Robert will offer painting critiques and suggestions to those who would like them. Starts at 10:00am in the visitor center auditiorium. Oil painter Larry Seiler will give a talk/demo about the process of "distillation:" extracting essential elements from a scene to translate into a painting. Inspired by an exercise used by Robert Henri, Larry will offer guidance on the interpretive aspects of painting technique. Bring a sack lunch for picnic in adjoining classroom. Afternoon paint-out follows in the Wildlife Refuge.